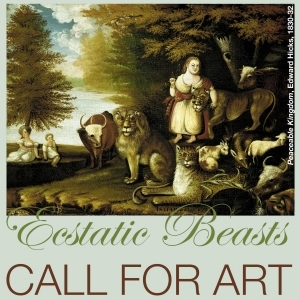 David Alm’s (’17) woodwind quintet Oceano was featured in Ecstatic Beasts, a VCFA exhibition that considers our complicated relationship to animals and, consequently, the natural world. Animals are regarded a multiplicity of functions in contemporary human society and culture, serving as pets, food, clothing, medicine, surrogates, life-savers and proxies—to name a few. Their role is hotly contested, as what it means to support animal stewardship and still acknowledge our collective dependence upon them is a murky, and often political, ground. And then the question: which animal? We revere some, loathe others, and barely even think of many. Oceano is a celebration of the birds living in and around the tiny California beach town of Oceano. The musical material mimics and emulates the many natural world sounds emanating from the habitats of six particular shore bird species. Beyond providing a means to further explore a woodwind quintet’s capacity for sonic beauty, the inclusion of such tunes are intended to demonstrate a kind of mythical/real interaction between the human beings and avians inhabiting Oceano. Oceano was premiered by The City of Tomorrow (Elise Blatchford, flutes; Stuart Breczinski, oboe and English horn; Rane Moore, clarinets; Nanci Belmont, bassoon; Leander Star, French horn) on February 10, 2017 at VCFA. Listen to the performance here. 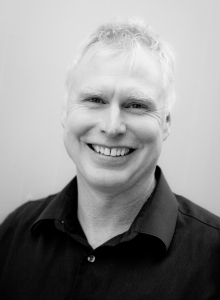 David is a high school choir director in San Luis Obispo and works as an instructional assistant/piano accompanist at Allan Hancock College in Santa Maria, California. He received his BA in piano performance/composition at UC Berkeley where he studied with the pianists, Charles Fuery and Janet Guggenheim (Itzhak Perlman’s longtime accompanist) and the distinguished composers, Richard Felciano and Jorge Liderman. He graduated from the MFA in Music Composition in February 2017, having studied with Roger Zahab, Michael Early, Andy Jaffe, and John Mallia.